Weebly allows building quality blogs, online stores and business websites. It comes with lots of professional templates, convenient drag-and-drop editor, tailor step-by-step guideline and other features that contribute to quick and effective web building process. Such a variety of tools and options, however, may seem a bit perplexing for users with little or no coding knowledge at all. It takes time to explore and master all the features of the system. This is one of the major reasons that make users look for simpler Weebly alternatives. For those of you, who don’t with to bother about the choice of a decent website builder to use instead of Weebly, Wix, Shopify and uKit prove to be the best solutions. 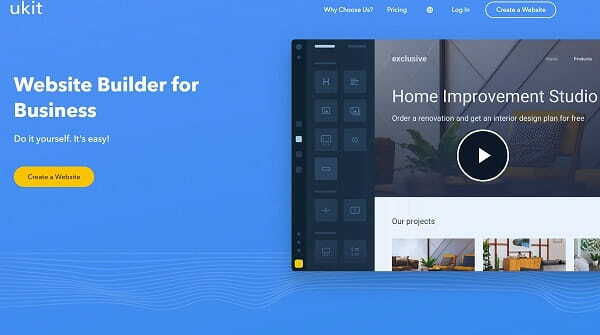 uKit is the simplest and the cheapest website builder, which is used to create small business websites, but it can also be used to launch other types of quality projects. Let’s review each of the systems in details now to find out their major parameters, pros and cons as well as pricing solutions. Wix is rightfully considered to be the world-renowned website builder. Just have a look at the statistics: as of today, its audience constitutes over 130 million users and this number keeps growing rapidly due to the platform’s credibility, professionalism and exceptional ease of use. Wix ensures safe, quick and intuitive web building process, which matters a lot for newbies looking for a simple website builder as well as for design pros, who value quality and time economy most of all. What Websites Can You Create with Wix? Being a universal web building solution, Wix can be used to create almost any web-based project, starting from a simple one-page website and up to a small/medium online store. The feature set of the service is enough to build any of the websites you need, be it a landing page, a business website, a modeling portfolio, a blog, a forum, a web store and what not. Wix comes with a rich template collection, where you can select a theme to come up to your niche specialization. It also offers a set of design customization tools to give your website decent look and performance. There is also an opportunity to choose a blank template to design a unique and personalized website. The service has powerful integrated blogging and eCommerce engines, which make it possible to launch blogs and online stores with no hassle and waste of time at all. What Makes Wix Better Than Weebly? Wix Forum – allows you building a full-featured forum and connecting it to your website. This is the option that is not available in Weebly and other website builders. Weebly allows building a small-to-mid-sized online stores. As it starts expanding, however, the website builder lacks features and tools for its decent development. This is where Shopify proves to be the best alternative. Shopify comes with an extensive set of tools and features needed to design a functional online store from scratch. The platform features simplicity and convenience. It’s easy to work with it, even if you lack eCommerce web building skills. What Websites Can You Create with Shopify? Shopify is a specialized eCommerce platform, which places the focus on launching eCommerce websites only. Whether you plan to launch a simple web store with a couple of dozens of products or a large hypermarket with thousands of products in stock, doing that with Shopify will be much simpler and more effective as compared to Weebly or any other all-in-one website builder. The scale of platform’s popularity is tremendous. Shopify was founded in 2004 and it has grown into the world’s most renowned eCommerce website builder since that time. As of today, the number of active stores running on Shopify has exceeded 500,000. They have brought over 40 billion worth of sales during the time of the system’s functioning. More than 3000 people are working for the company, while the overall amount of merchants dealing with the platform currently constitutes about 600,000 people. Shopify has its listing in the stock market. This is another proof of the company’s reputability and credibility. What Makes Shopify Better Than Weebly? 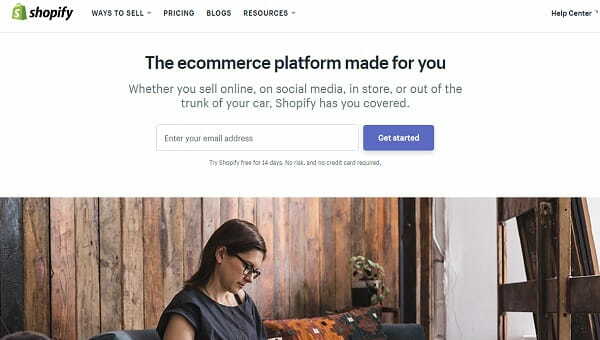 SSL Encryption – to protect your web store from unauthorized access of spammers, Shopify allows connecting the SSL Certificate to it. uKit is a renowned website builder, the feature set of which is more than enough to create high quality small business websites. At the same time, it is possible to launch other projects with the system, which will also have professional look and advanced performance. With over one million users, the service is included into the list of top website builders that are in demand with people. This makes uKit a worthy Weebly alternative. What Websites Can You Create with uKit? The major uKit specialization is centered around the creation of small business websites. The platform provides a broad range of web design tools and features needed to create projects for contemporary entrepreneurs. It doesn’t really matter what business niche you focus on – with uKit, you will be able to run and manage professional websites with excellent performance. Apart from that, uKit is a nice eCommerce building solution. It works well for those users, however, who plan to launch or already own small online stores. The platform offers two ways to start an online store – either by integrating an eCommerce widget or by connecting the Ecwid account. Whatever option you will go for, it won’t take much of your effort and time as the process is quick and intuitive especially for non-coders. What Makes uKit Better Than Weebly? Cost – uKit is one of the most affordable website builders, which offers a broad range of settings at flexible rates. The price range of the paid plans constitutes from $4/mo for a standard Premium Plan and up to $12/mo for the advanced Pro Plan. By using our SWB-25 promo code, you can avail the 25% discount. Thus, you’ll be able to use uKit Premium Plan for $3.5/mo only. 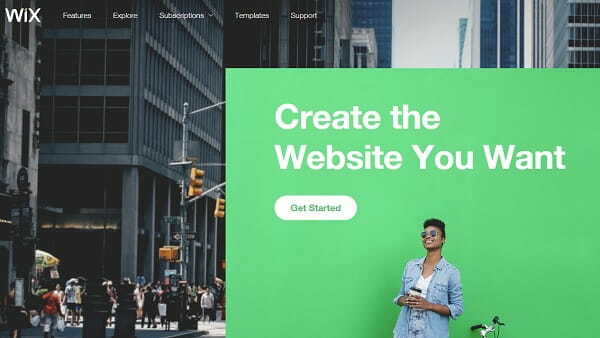 Weebly is a decent website builder you can use to create and manage quality landing pages, business websites and online stores. The system has much to offer to users and its feature set keeps rapidly developing. However, it’s not altogether convenient and easy-to-use for beginners. The system somewhat lacks drag-and-drop options and it requires time to be mastered. Users, who always lack time and effort to explore Weebly, can select between Wix, Shopify and uKit depending on their needs and goals. These are decent alternatives to the website builder, each of which has multiple advantages and specific parameters. Wix is rightfully called the world’s best website builder as its features (Wix ADI, Wix Code), templates and design customization tools come up to various web building needs and users skills. Shopify is the advanced eCommerce website builder, which lets everyone create and manage professional online stores. uKit is the easiest and the most affordable small business website builder, which is intuitive and understandable to everyone. Whatever Weebly alternative you will go for, you won’t regret that. These services are the leaders on the list of the best website builders. They are definitely worth using!